Personal Expression..... Please leave a comment below after you read! Public Demonstration of Witchcraft initiated by the Holy Spirit. 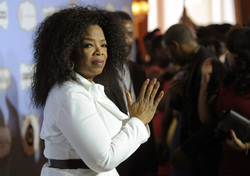 When the Holy Spirit told me to connect with Ms. Oprah Winfrey, I was thinking about immediate fulfillment of the plan of God and not taking the path He has nevertheless led me on. However, God knew Ms. Oprah Winfrey’s motives and He also knew that I was completely surrendered to His Service. Yes, He knew I would lay down my life; that I am a fool for Christ and for no one else nor Original Jew or Gentile. I have documented letters confirming this Public Demonstration by 2 separate ministries. One of the ministries I contacted by the leading of the Holy Spirit. And the other ministry contacted me first! I received a letter from the latter, confirming my state of affairs with regards to the Public Demonstration of Witchcraft, and furthermore verifying other pertinent information and events. This is God’s check and balance and way of instituting proof that this Public Demonstration of Witchcraft has His Signature! The Wisdom that has been revealed comes from The Rock (Big Rock….not the little rock) of Ages; the wisdom and knowledge bestowed and given to the world has His Mark! Only someone who walks with the Holy Spirit could give utterance to this Historic Moment In Time! In addition to God’s check and balance system, and His Wisdom, He has included my fiancé’. My fiancé’ is proof positive to the authenticity of this movement because he is my brother. At the initiation of this Public Demonstration of Witchcraft, I said the Holy Spirit conveyed that the inheritance I am going to receive is from my father’s pedigree. To be exact the Holy Spirit said that this is my father’s resurrection. My father Johnny A. Jones was raised by his mother who was a Pierce. But this inheritance comes from the Jones' descendant and the Holy Spirit conveyed that my fiancé is from this lineage and accordingly he is my brother. The Holy Spirit said it is important that I marry my brother. So this is a biblical Jew connection and we are going to confirm it with a DNA testing. 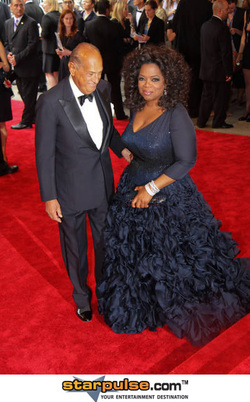 Ms. Oprah Winfrey mistakenly touched the anointed and she has left a trail. This is an unconventional, but biblical way that God connected me and my fiancé. We have learned so much and find it interesting how God is bonding us, considering our cultural differences. With the help of the Holy Spirit, my fiance' has found out some significant, but painful information even about himself over the three and a half years. From a child up he was under the impression that his father had died and was from the USA. However in our efforts to take care of business at the embassy, he found that his father is not from the USA but from the Nation of Israel and he could possibly be living (he was raised up under that lying Babylonian fire). The Holy Spirit revealed during the Public Demonstration of Witchcraft that I am the seed of David…an Original Jew and this knowledge of the origin of his father proves that he is a Jew too; we both come from the same family tree! The Holy Spirit disclosed my fiance' and I have a work to do over there in the Nation of Israel. 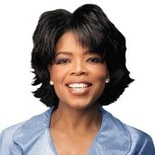 to keep me and my fiancé apart, Ms. Oprah Winfrey not only touched my family with her Black Magic, causing me to lose my mother and be put out of my home, but she touched my fiancé’s family also. And Ms. Oprah Winfrey’s Black Magic has left a trail. Upon letting the public know about my fiancé, Ms. Oprah Winfrey spoke her desire over the air waves trying to convince my fiancé’s relatives to not be okay with his selection of me as a partner; I recall the show; I knew what she was doing. Well what she did behind closed doors resulted in his mother dying around August 2008 and his sister getting put out of the house. The Holy Spirit disclosed that this was the workings of Ms Oprah Winfrey. I have been holding this for 3 years….. This woman is really crazy and the Holy Spirit said that she is bound by so many spirits; she’s under the grave; the Beast is controlling her. The exact same thing that happened to me and my mother happened to my fiance's mother and her daughter, his sister! Ms Oprah Winfrey then had the nerve because of her obsession, to begin broadcasting someone on her show by the name of Ruby, my mother’s name, Ruby─ Ruby, Ruby, Ruby. And in her final shows before coming off the International airwaves she was fixed on trying to bring more disgrace by reenacting the Wizard of Oz, (in my World War II article which will be posted under Public Demonstration Blog @Divineinterventiondjj@weebly.com,); and mentioning my name Debbie, Debbie, Debbie during the broadcast of her final show. All I’ve been thinking and saying is that ‘I want to go home and there’s no place like home.’ The author of the Wizard of Oz, I truly believe was delivering a message about Witchcraft. It brings chaos and confusion and knocks you out of your house….some where over the rainbow away far from home. One thing I notice about the craft, when someone has an evil eye against you; one of the ultimate aims (of the beast is to destroy) is to put you on the street. This destroying Babylonian Fire at its height will destroy its victims through kidnappings and finally slavery. At the beginning of the National "Last Movement," in 2003, I disclosed that the Holy Spirit conveyed that evil politicians in Government …in the land have plans of taking the African Americans back to times of segregation. Over the past years during the Public Demonstration of Witchcraft we have had an increase in all these areas…racism....kidnapping, trafficking (slavery), and homelessness. During this demonstration, I wrote about how the Holy Spirit conveyed that Witchcraft is all in our government…all over corporate America. It doesn’t like the pure…..the elderly, virgin/pure women, boys and girls, and Negros….the Original Jews. Over the past 3 ½ years the forces of darkness reached it’s peak with the abomination of desolation (discussed in recent articles of demonstration). It has affected our weather and increased homelessness across our nation. It is because of the Babylonian Fire that Jesus Christ said the poor will always be with you. (Read Article about the Babylonian Fire and the New Era (DivineInterventiondjj@weebly.com) Again, during the Public Demonstration I was forced out of my house; my fiancé’s sister was forced out of the house. The young man, whom I discussed, in this article, was attacked by his father in this fashion too; however because of Divine Intervention these forces did not prevail against him. He is still residing with his mom. Finally and momentarily, my fiancé, while stranded in another country had no place to live; all because Ms Oprah Winfrey, the Nation’s Babylonian Priest is a Jealous and Enraged woman, and the Holy Spirit disclosed that she particularly did not want my fiancé’s money in the USA. She thinks she runs America; but she’s got another thing coming! I mentioned in the World War II article that the nightmare she caused me to go through made me feel like Dorothy in the Wizard of Oz! When God gets through with her, she’s going to be saying “I’m Melting; I’m Melting, Oh…. Why a pretty young lady like you comes to destroy all my beautiful wickedness”……. Analysis - The separation of something into its parts in order to determine its nature. Does the Church have the nature of Christ or the Anti - Christ? Does the Church have the Spirit of Love or has the Church's Love waxed cold. Which Angels are accompanying our Leaders? 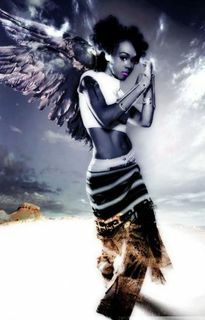 Angels from the Dark side - Satan or Angels of Light - Yahweh. If the resources made available on Divine Intervention Website are of value to you and have contributed to your wisdom, connect with the flow of giving and receiving and make a donation. A once-off or regular donation of any amount will be deeply appreciated, and will contribute to the continued expansion of Divine Intervention. Click on the button below to make a donation easily and securely using Paypal. 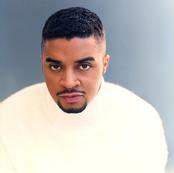 Bishop Clarence E. McClendon gave another prophetic word concerning the "Last Movement-Public Demonstration" March 2003. It was around June 2003 that the Holy Spirit instructed Debbie J. Jones to go back to Dr. Creflo A. Dollar church. Only God knew that Dr. Creflo A. Dollar was going to react the way he did in order that this Last Movement go Public and of course Debbie J. Jones Name and Message receive National Attention. It was during the Public Demonstration Debbie J. Jones met her fiance who has the 'other shoe' to walk out assignment for ministry. By the time Ms Oprah Winfrey put her foot into the situation, ministers across the network began to argue over the blessing. They argued that this vision that I was birthing belonged to them, too. 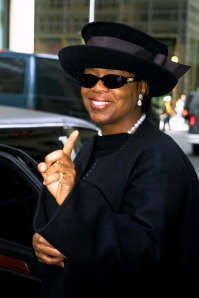 They began to assassinate my character because they were jealous of the open door of opportunity with Ms. Oprah Winfrey. The situation got very ugly. 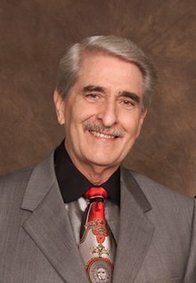 The Holy Spirit disclosed that Paul Crouch of TBN blocked opportunity with Oprah Winfrey. He wanted her to wait and test my character.